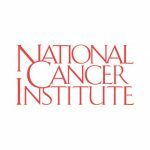 WICHITA – The National Cancer Institute has recognized local oncologists Dennis Moore, Jr., MD, and Shaker Dakhil, MD, and the Wichita CCOP research staff for having some of the nation’s highest patient enrollments in NCI Treatment and Cancer Control Clinical Trials. The awards, based on 2010-2011 data, were presented at the National Cancer Institute Administrators meeting in Washington DC on September 27, 2011. Moore and Dakhil are affiliated with the Wichita Community Clinical Oncology Program, housed at Via Christi Hospital on St. Francis. Grant funding for Wichita CCOP is managed by Via Christi Hospitals. Moore, who enrolled 73 patients in trials, earned recognition for the second- highest patient enrollment in the nation. Dakhil, who enrolled 71 patients, was recognized for the nation’s third-highest enrollment. Nationally, other CCOPs enrolled an average of just 40 patients during this same period. NCI also recognized eight Wichita CCOP-affiliated physicians with Platinum Awards for enrolling more than 25 patients. They included Moore; Dakhil; Michael Cannon, MD; James Delmore, MD; David Johnson, MD; Bassam Mattar, MD; Nassim Nabbout, MD; and Pavan Reddy MD. Phu Truong MD received an NCI Silver Award, for 16-19 enrollments. In May 2011, Wichita CCOP was honored by Southwest Oncology Group for being its highest enrolling Community Clinical Oncology Program in 2010. The Wichita program offers patients the most current cancer research in detection, diagnosis, treatment, prevention, control, and quality of life, right here in Wichita. Through its relationships with such well-known programs as M.D. Anderson Cancer Center in Houston and Mayo Clinic in Rochester, Minn., and participating physicians nationwide, the Wichita program offers its patients the most current cancer research in detection, diagnosis, treatment, prevention, control and quality of life, said Keisha Humphries, RN, manager of Wichita Community Clinical Oncology Program at Via Christi Hospital. “Our physicians are dedicated to making sure our patients don’t have to travel to Houston or Rochester to benefit from that high-quality care; they can find it right here, close to home,” said Keisha Humphries, RN, manager of Wichita Community Clinical Oncology Program at Via Christi Hospital.